We invest small fortunes into ‘preserving’ our skin’s youthful glow, but it’s no good if your hands betray your years. Oft forgotten in our quest to stave off ‘age’, hands are constantly exposed to sunlight, free radicals and dehydrating soaps, sanitisers and detergents, but help is (finally) on hand (sorry)! 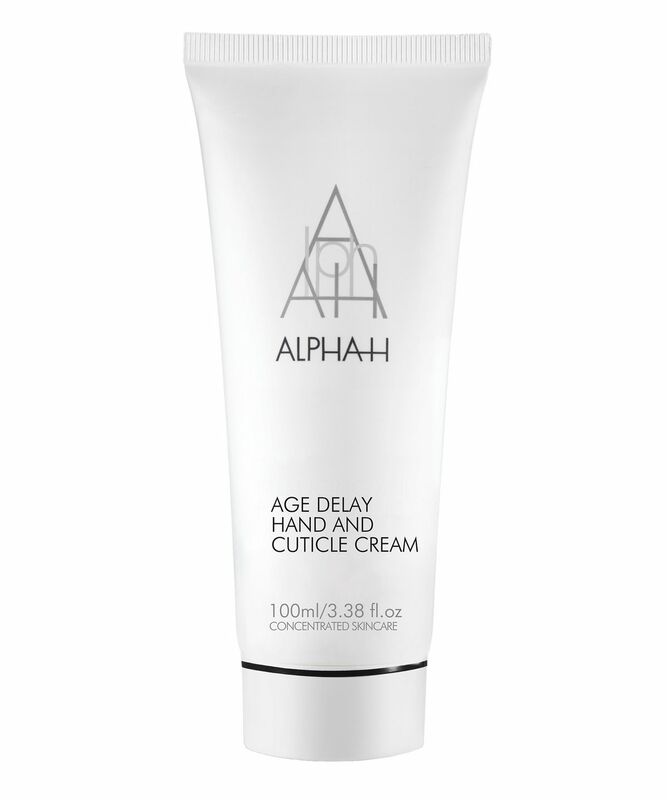 Age Delay Hand & Cuticle Care Cream contains Alpha-H’s signature Glycolic Acid – an AHA, which gently loosens the bonds that bind dulling dead cells to skin’s surface and in turn, accelerates cells’ repair and renewal processes. 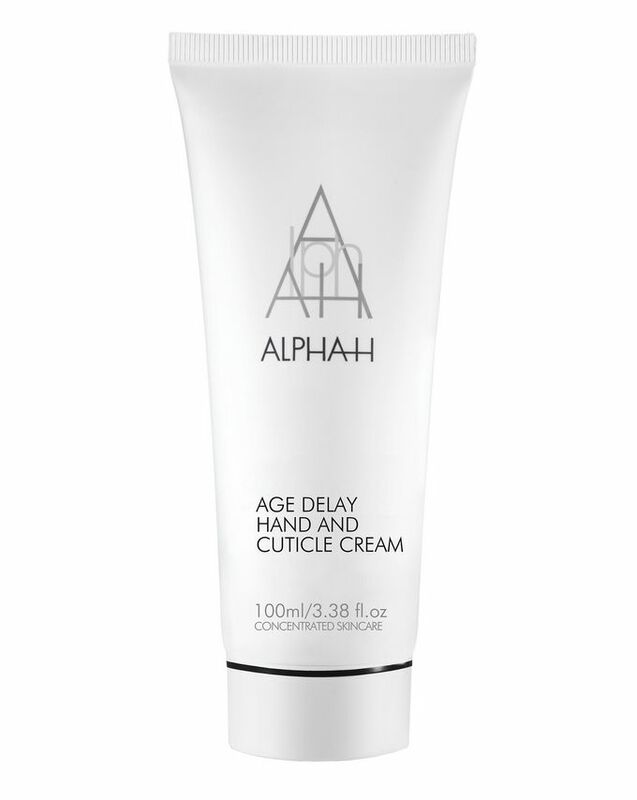 With regular use, delicate skin becomes stronger, thicker and younger-looking – your hands will look positively pampered! I ordered this cream for my mom, she is 48 and she absolutely loves it. It’s super moisturizing cream. It makes your skin just perfect and smooth. I loved this hand cream so much. It is so moisturising and smoothing. I always look forward to using this cream on my hands, its been my saviour in the harsh cold weather of Dublin. When this cream finished I came to repurchase and saw the hand cream of this range with the spf 50 and thought it would be the same as this with the added sun protection, but it was a total disappointment. Now I'm just trying to finish that off to repurchase this one. I really miss using this. Wow, my hands have a totally different texture just from using this for a couple of days! The glycolic acid is a real kicker! Be careful if you have any cuts or wounds though, 'cause it stings'. I'm madly in love with this hand cream (I use it for my feet as well). It's really powerful, but at the same time gentle and soothing. Just wish it came with more detailed description of how often one should apply. It does contain 10% glycolic acid, so it's pretty powerful stuff. Would order again! It didn't work for me, but I don't necessarily think that this means that it's a bad hand cream. I have insanely dry hands and are often peeling, so its quite bad, and this cream didn't help. It didn't absorb well, I feel like it sits on my skin. but then I don't have a very absorbent skin and this is a bit thick. I will buy the Margaret Dabs hand lotion because I tried in and fell in love! This hand cream is incredible. It leaves skin super soft that lasts for ages, despite washing with soap numerous times per day. I just use this before bed as it can make skin more sensitive to the sun. It has transformed the feel of my hands which can be mildly eczema-prone in cold weather. A must for anyone who suffers with dry skin.